Since the language of Valentine's Day cards is so flowery and romantic, it provides the perfect opportunity to help your child learn about some of the different ways people make language more interesting. In particular, you can use Valentine's Day writing to teach your child about idioms, metaphors, and similes. One way to help your child understand what you mean when you talk about figurative language is to have him look at some of his Valentine's Day cards. Similes: A simile uses language to compare two things that are not alike, using the words "like" or "as" to compare them. A good Valentine's Day example of a simile is the line "O, my Luve's like a red, red rose," an excerpt from Robert Burns' poem "A Red Red Rose." Metaphors: A metaphor is similar to a simile in that is compares to things that are not alike, but it does not use "like" or "as" to do so. Instead, a metaphor says that the first thing is the other. For example, Samuel Taylor Coleridge's classic lines: "Love is flower-like, Friendship is a sheltering tree" do not compare love and friendship to plants; they say these things are equal to them. Idioms: An idiom is a phrase or expression in which the figurative meaning is different than the literal meaning of the words. It's also sometimes known as a figure of speech. For example, "having a heart of gold," doesn't mean someone has a gold heart but that a person is very generous and caring. 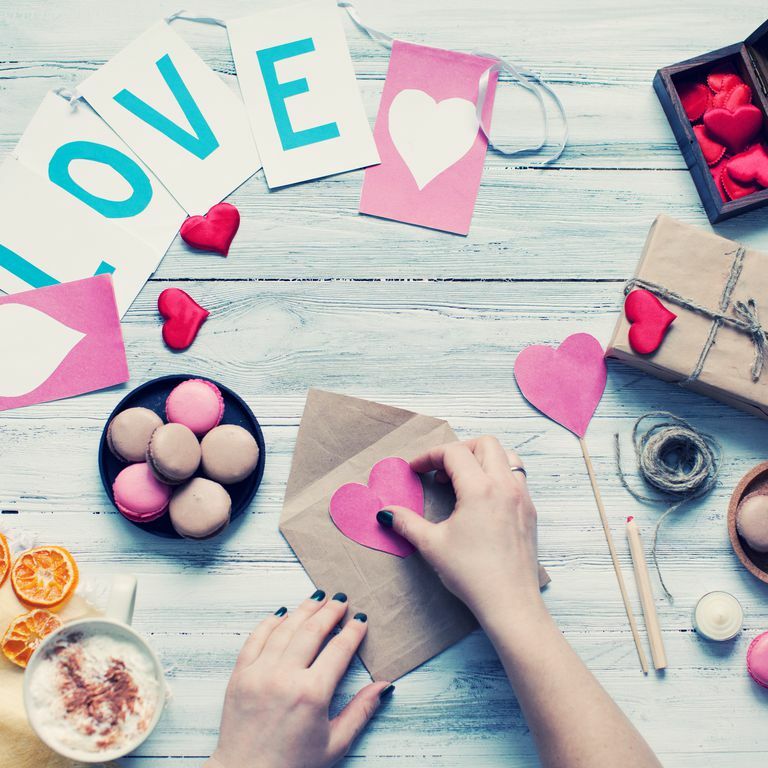 There are a few ways you can practice using figurative language with your child on Valentine's Day. One way is to ask her to create a list of similes and metaphors using the word "love." They don't have to be poetic and can be silly if she wants, but make sure she identifies which ones are similes and which are metaphors. If she's having trouble, provide her with a phrase and ask her to identify if it is a metaphor or a simile.